Shoes in sizes EU 25/26 - 36. Genuine leather & leather lining. Vibram® rubber sole. Appropriate for long-lasting walks and outdoor games. Sizes: EU 35 to 41. 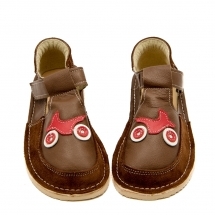 Comfortable, light-weight and soft Mary Jane shoes handmade from a genuine leather. Appropriate for intensive and fast walking outside, in the office. 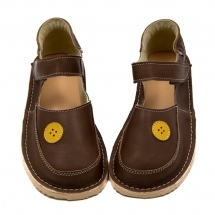 Sole: Vibram rubber material - very soft, elastic and light-weight.